One month to go!!! If you’ve been preparing for Christmas a little bit at a time all year it won’t seem so overwhelming — just 5 things a month! But even if you haven’t done anything until now you can still have a relaxing Christmas holiday season. Start here. And scroll down to see our list of 5 things to do every month. Sign up for my free 12 Days of Christmas Crafting email series! I start planning handmade gifts in July or earlier! But if I don’t have them done by December 1 I set them aside. There is way too much going on after that and I’d rather spend my time with friends and family than stressing myself out by trying to finish projects. I can raid my stash of gifts that I bought and stored through the year or give a gift card. 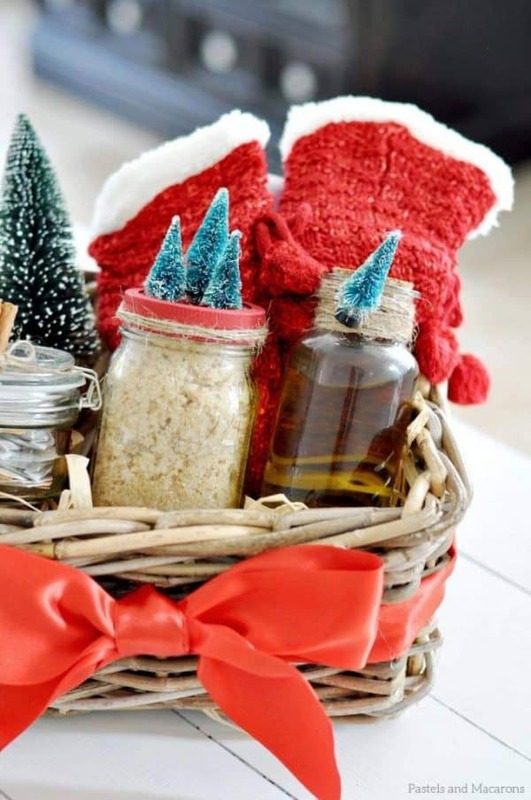 It may be too late to start a few large projects like sewing, knitting, or crochet but here are some ideas for easy DIY gifts that don’t take much time. I’ve already got four dozen cookies in my freezer. Baking them now saves me a lot of time when I get ready to put together our Christmas cookie plates for neighbors and coworkers. If you don’t want to freeze baked cookies you can at least get them mixed up and freeze the dough. Here are a few recipes and tips that will help you get started. If you haven’t already, take a family photo when everyone is together at Thanksgiving. You’ll have plenty of time to make prints or put together a photo card on Shutterfly or Tiny Prints if you didn’t buy Christmas cards on clearance last year. Hopefully you hit the clearance sales after last Christmas so you won’t need to purchase much. Pull out your supplies and keep them together in an easy to reach area. 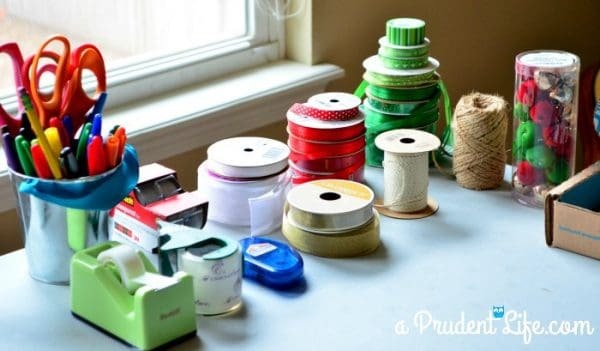 Make a list of wrapping supplies to purchase. I will leave this up to you whether to decorate before or after Thanksgiving. There are at least three viewpoints. No Christmas decorations before Thanksgiving. 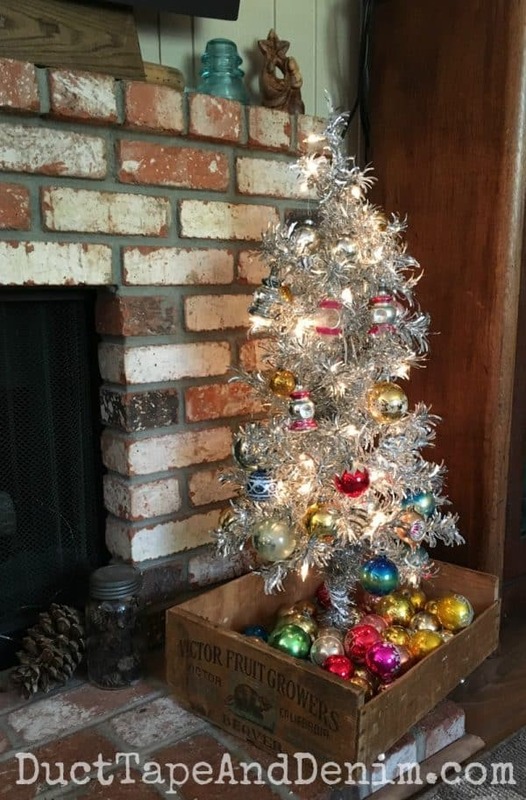 Decorate everything but the tree, saving the tree for everyone to decorate on Thanksgiving weekend. I’ve always been very strict about not decorating before. But last year we decorated the second week of November because our daughter was moving out of the country. We wanted to be able to decorate the tree with our grandson. And I’ll have to admit, it was the most relaxing holiday season we’ve ever had. Hmmmm…. very tempting. Leave a comment and let me know if you decorate in November. 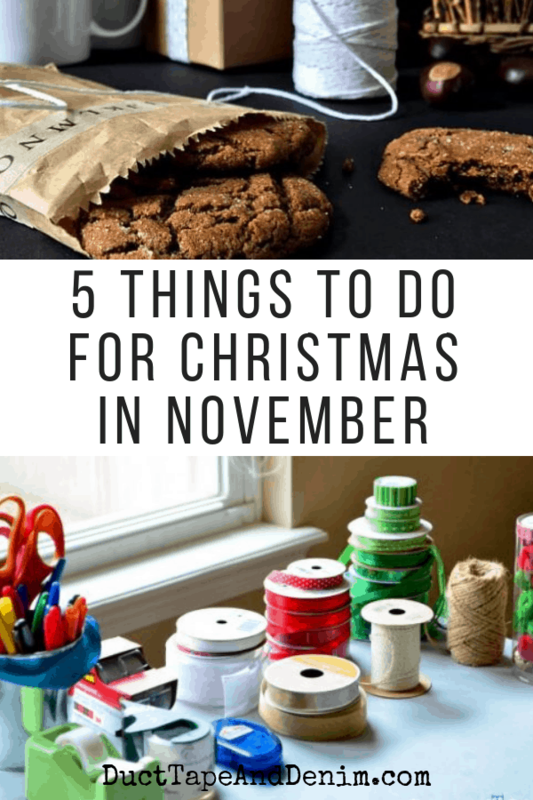 Even if you decide not to decorate anything in November you can still pull out the decorations and make a list of what you need to buy for this year. Buy leftover Halloween candy on November 1st. Use in stockings or for Christmas baking. Make, buy, and prepare for the Advent calendar. « Day 11 – I’m Grateful for YOU! Great suggestions. I need to start my Christmas gift making, I always end up doing that at the last minute. I don’t put any decorations up until the 1st of December though. We decorate the day after Thanksgiving…turkey and stuffing leftovers for breakfast while we trim the tree!! I do love the Christmas craft in November, carols on and lots of red and green!! Great suggestions. My biggest hurdle is getting all of the decorations from the attic. I should have started it in the beginning of the month. Me too! I’m actually climbing up in the attic today to pull out some more decorations! It makes me think about decoration plans for Christmas. Thanks for your detailed recommendation. Thanks for sharing those helpful suggestions ! Gonna save them for doing soon ! I’m a strict person on decorating for Xmas too. Not gonna do it until after Thanksgiving. I wanna do it when the holiday atmosphere has come. But number 4 looks so handy! Thank you for the idea you’re sharing. It’s great! Gonna prepare it for the season now. Best wishes! I wish I read these tips earlier! Because til now, all thing for my Christmas is still chaotic. I would probably need to push my progress up! And fortunately, I can follow your logical guides to prepare for my Christmas as perfect as possible! Thank for sharing! Absolutely love this topic!! Love love love it! And I will rely on it to prepare for my Christmas too- I should have read these directions earlier. But regardless, it isn’t useless for anyone because it is so great. I look forward to seeing what you share next! Excellent ideas! I’ll have to put some of these to practice next year. Thanks for sharing! I’m actually becoming more of a mimalmist each day. Christmas is December 25th, 26th in Canada with Boxing day. Don’t know how it has become a year round occasion. So we do ours a week before, everything super simple and enjoy. I may be the only one in the universe , but it works for us. Do enjoy your DIY projects. I almost always put up Decorations the day before thanksgiving – or if I take that day off from day-care kiddos (like this year) I do it 2 days before so they can participate in decorating. One of my families doesn’t seem to do much for decorating for holidays so I make sure to invite him especially. 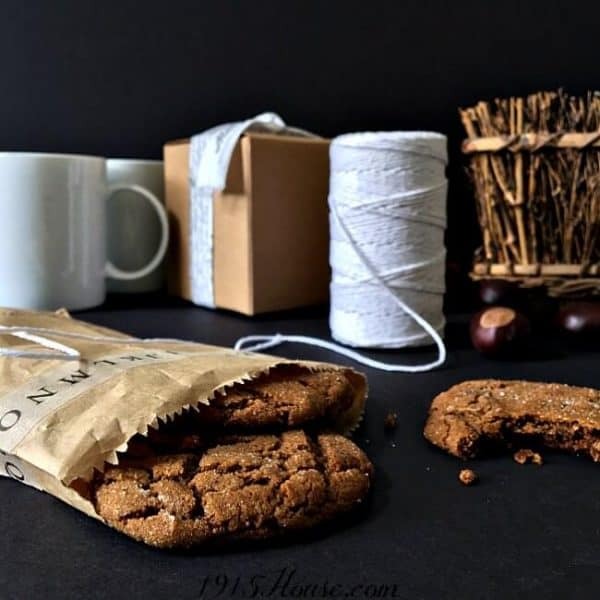 Every year I also celebrate Christmas with my family, also prepare a small party but I have never had any new ideas for the holidays, reading your blog has prompted me to add new ideas. Sincerely thank you!